Interested in local food? Want to discuss ideas or find out what's going on in Wivenhoe? at Linda's house: 20 Walter Radcliffe Way. From 7.30 - 9 for soup, ideas sharing and project development. There's a lot of exciting things happening foodwise in Wivenhoe at the moment, from the new Community Supported Agriculture initiative, to the station garden and other permaculture sites around the town, seed swap at the farmers market and much more. We are restarting this group so anyone is welcome, particularly people who haven't been along before. Let us know via email if possible and you can mail or call Ruth on: 07538704096 for directions/info. This may interest you especially if you live in Wivenhoe, Brightlingsea, Great Bentley, Alresford, Frating or Thorrington. 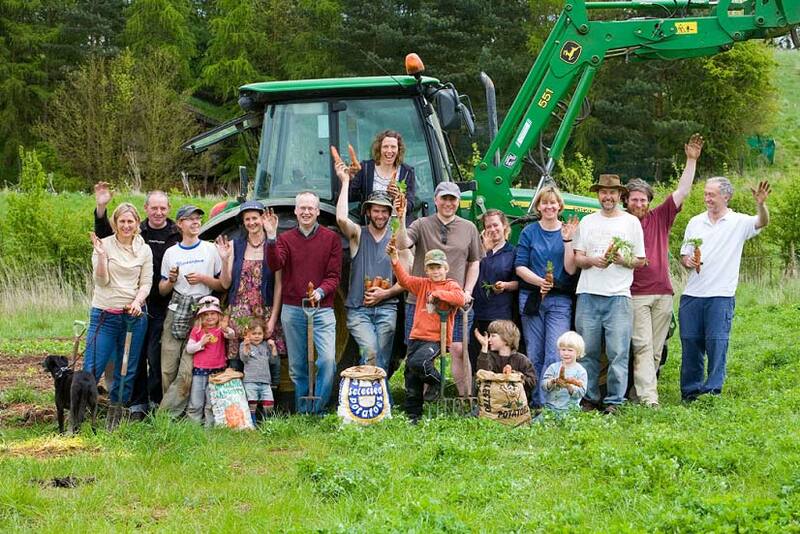 You are invited to find out more about a new enterprise - a Community Supported Agriculture scheme being set up locally. CSA is where members have a weekly share of locally grown vegetables. 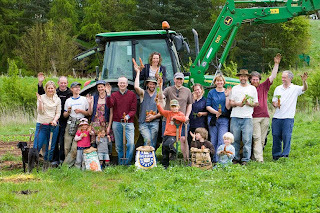 CSA's typically involve members in different ways to suit both producer and community - perhaps to help at busy times of the year or on a more regular basis, and usually members can enjoy open days and a chance to learn and find out more about how food is produced, as well as enjoy social events and seasonal celebrations. Local Honey from Knights Farm in Tendring. You can still contribute to the local food map to let us know fruit and nut bushes and trees, or outlets for local food here. And if you are interested in the Seed Swap let us know - we can come along to an event, or lend you the seeds etc by arrangement. With the new franchisee about to take over from National Express, perhaps this is a good time to revisit this project idea. Thanks to Chris Gelardi for creating the film, and everyone who came along and got involved.